Which products/product groups are high volume? Which products/product groups are high margin? Which products/product groups are important for some other reason, e.g., important new product? Which products/product groups are giving us the most problems? If you have a product/product group that hits two or three of these criteria, go with that one. If none of your products hit more than one criterion, pick whichever product you want to start with, then move on to the others. Then do like we said last time, start with the customer and discuss their needs and the outputs that meet those needs. Then talk about the suppliers and your standards for what they provide. OK, now you’re ready to connect those boxes and arrows. 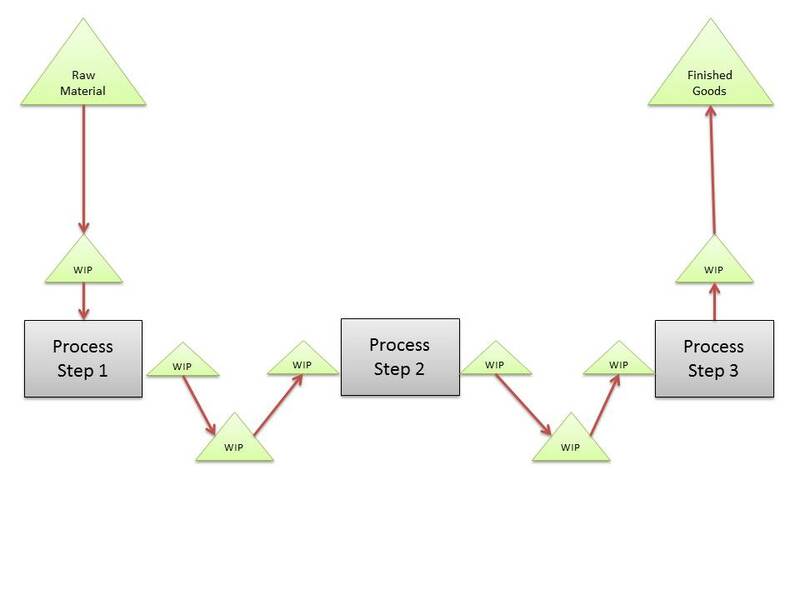 A really simple process flow map. You’re map probably looks something like this. Actually, your map probably has a bit more detail in it. That “Make It” step probably extends for a few more boxes. And, yeah, I left out the arrows between the triangles and the boxes because I didn’t want things to get too cluttered. Now, it’s time to ask (and answer) some questions about some of the steps within the process. Again, let’s start at the end of the process and work our way backwards. How do we measure Customer service performance? What do our most recent measures show, e.,g. what is our on-time ship performance, shipment accuracy performance? What’s the best it ever gets? What’s the worst it ever gets? 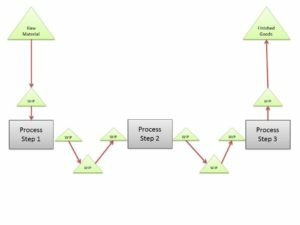 What’s the Make It cycle time, i.e., how long does that process step take? What’s the setup/changeover time for the Make It step? What’s the scrap rate? What’s the machine uptime rate? What’s the throughput? What’s the typical batch size? Or what’s the typical length of a run? Many value stream maps also document how many people are at the Make It step. I don’t like to do that. It sends the false message that the purpose of all this is to get rid of people. Another value stream map measure folks sometime use is “efficiency” at each step. I’m not adamantly opposed to that but many organizations don’t measure efficiency well (I’ve talked with managers who swore by efficiency as a valid indicator of operations performance but who had no idea as to what the standard rates were or how they were determined) and they tend to use it wrong anyway. In this case, you’d want to document how much inventory is typically at each triangle. All this might seem like overkill but the above map would show that there’s lots of movement of material through the process. That’s important to know. 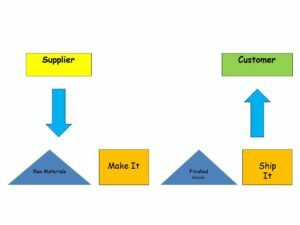 How do you measure Supplier performance? What do those measures show with respect to recent performance? How much inventory do you have on hand? 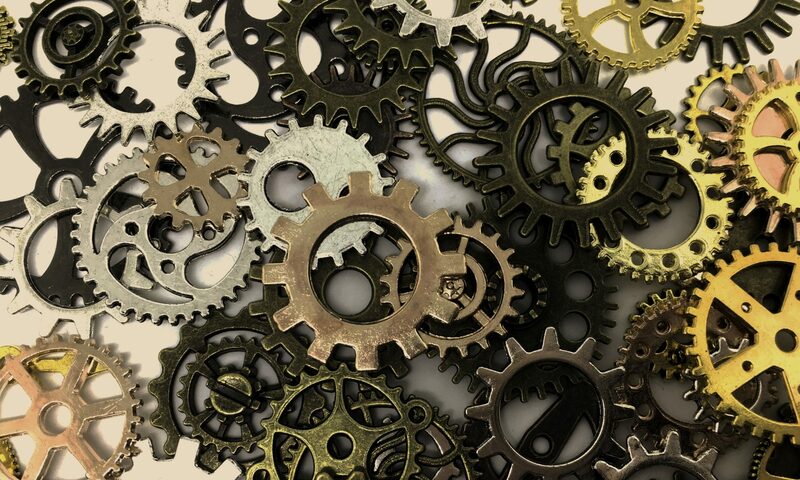 What is the lead time for Raw Materials? So, lots of data need to be gathered at this point. Let’s talk more about that in our next post.